A PETA video exposé of Culver Duck Farms, Inc.—the second-largest duck slaughterer in the U.S.—reveals that ducks were kicked, thrown, slammed against walls, and kept in isolation for weeks. According to its website, Culver supplies duck meat to Harris Teeter, The Fresh Market, and other grocery chains around the country and claims, “If you go to a China Town in the U.S.A. and see a duck in the window it’s a good chance you’re looking at a Culver Duck.” Duck meat sold at Whole Foods comes from Culver, where “breeder” ducks were crammed by the thousands into massive, dark sheds. Culver slaughters 25,000 ducks every day. 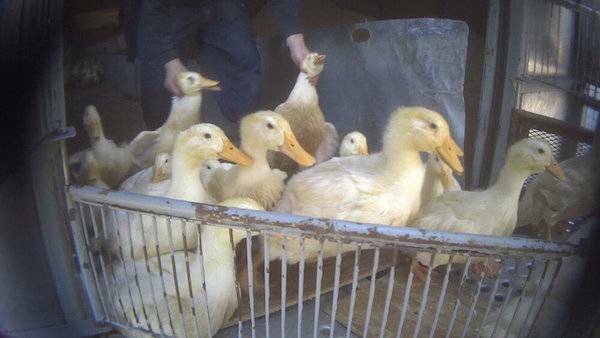 Culver Duck Farms employees in Indiana were videotaped tormenting ducks to death by bashing them against walls, ripping their heads off, and more. This torture must be punished. Demand that any employees involved be charged with animal cruelty. In addition to signing and sharing the petition, please contact Prosecuting Attorney Curtis T. Hill, Jr. with a personal request to prosecute the offenders. Request a written response to your concerns. Update: After a long silence and no response to repeated inquiries, Harris Teeter has assured PETA that Culver Duck Farms no longer supplies the company with duck meat. 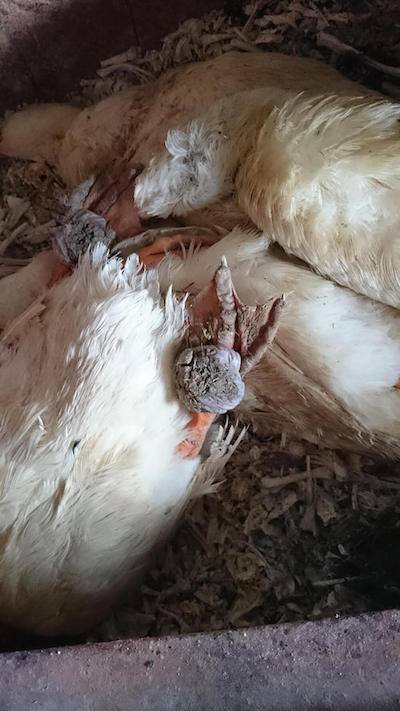 While Harris Teeter’s current supplier, Joe Jurgielewicz & Son, says that Harris Teeter is not obtaining ducks from the farms where PETA documented the egregious suffering, it’s common for ducks raised for meat to spend their lives in cramped, filthy, dark sheds before their throats are slit. We continue to urge Harris Teeter to take swift action by ending the sale of all meat from gentle ducks.